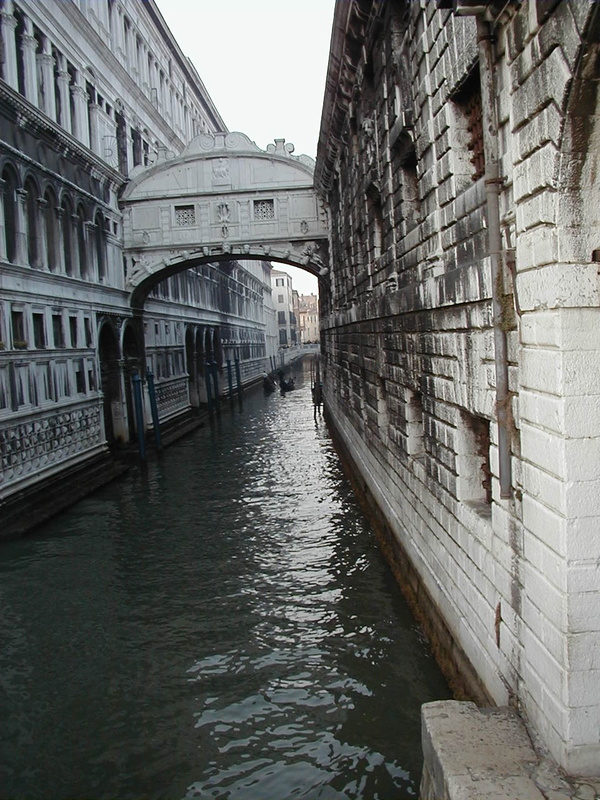 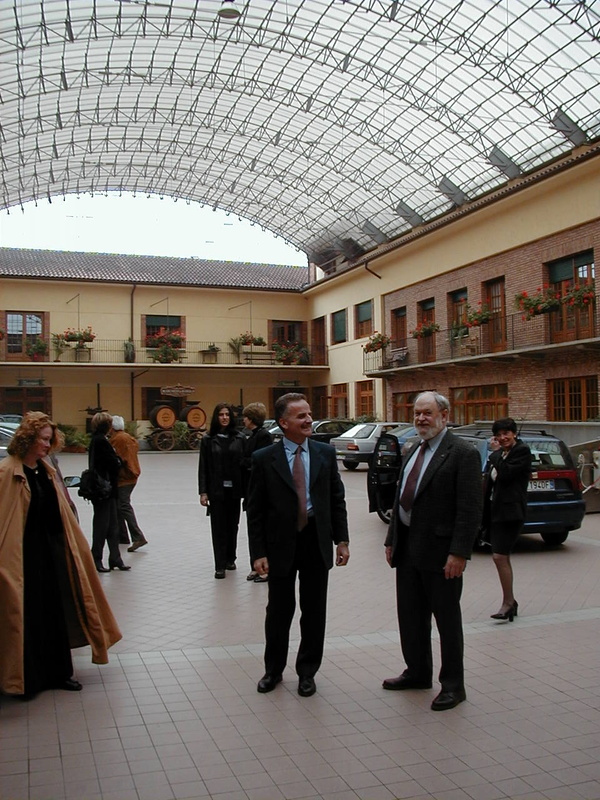 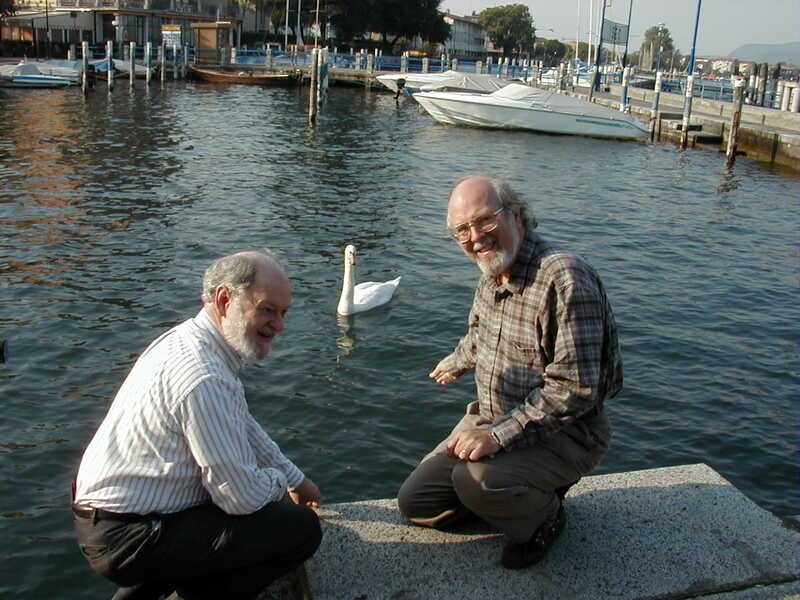 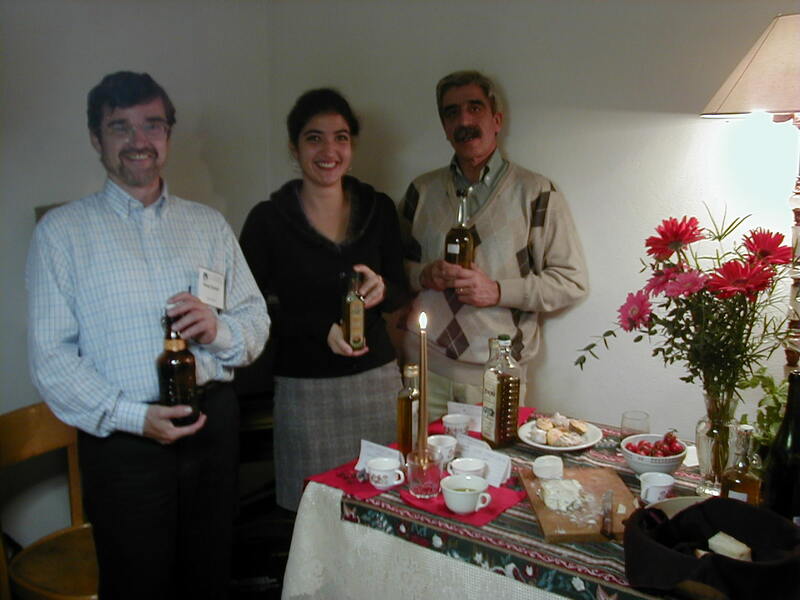 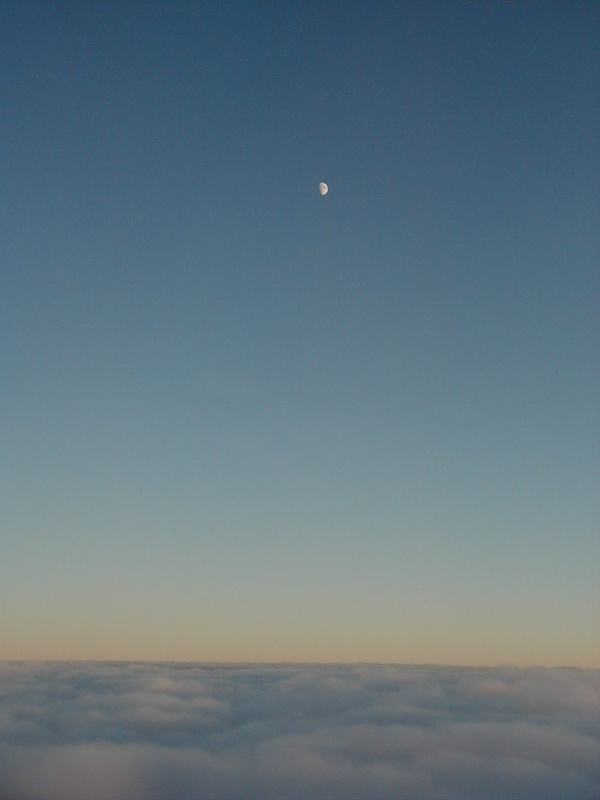 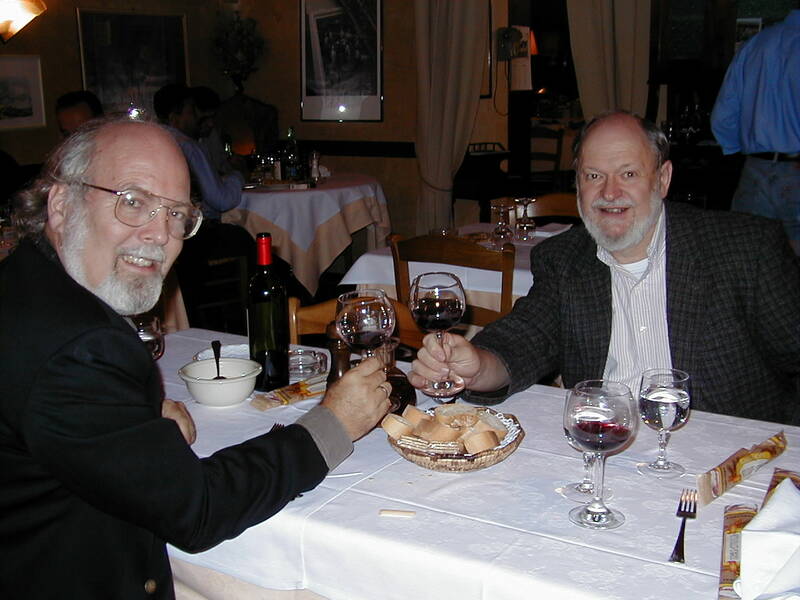 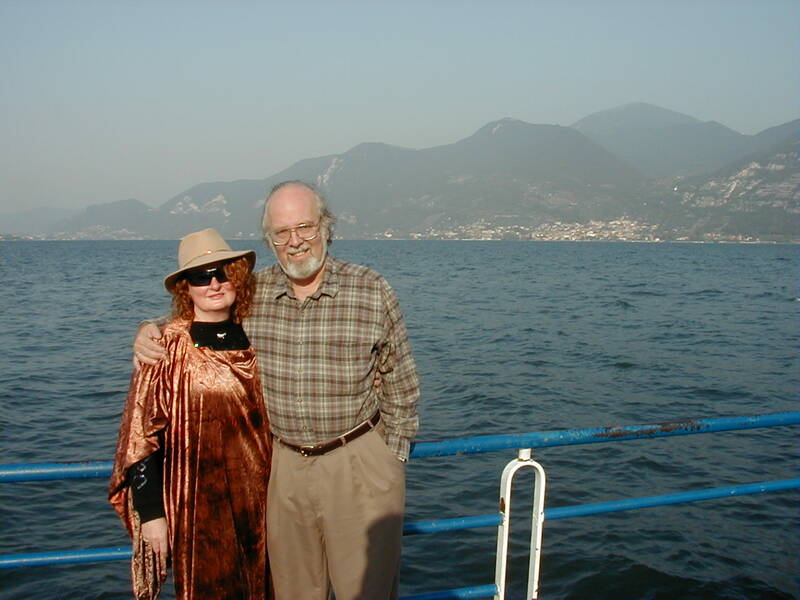 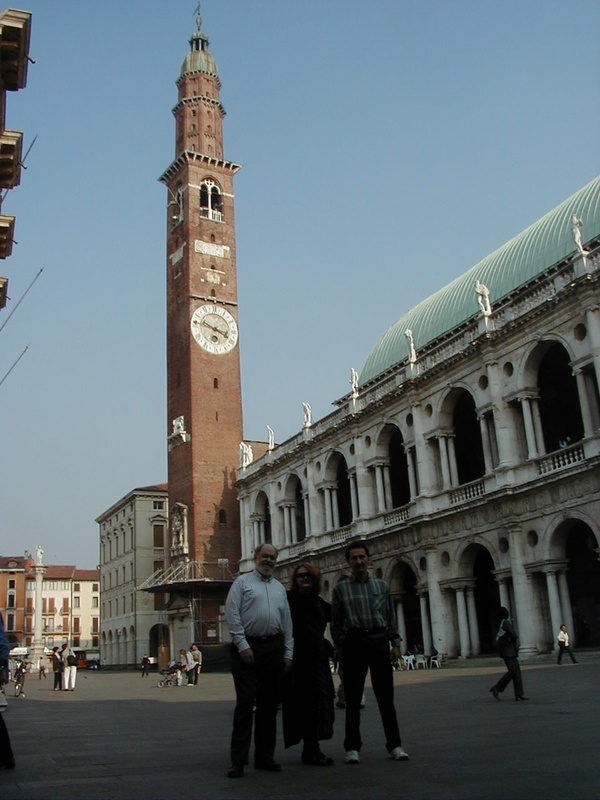 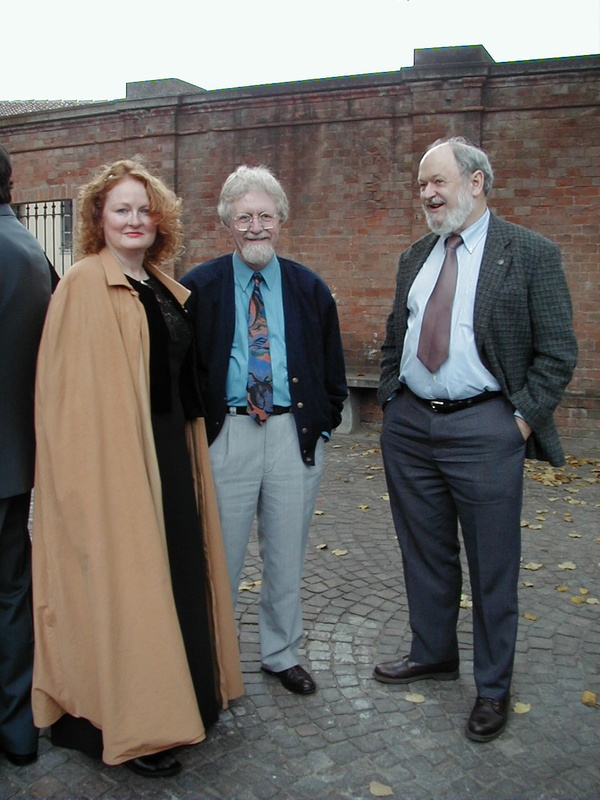 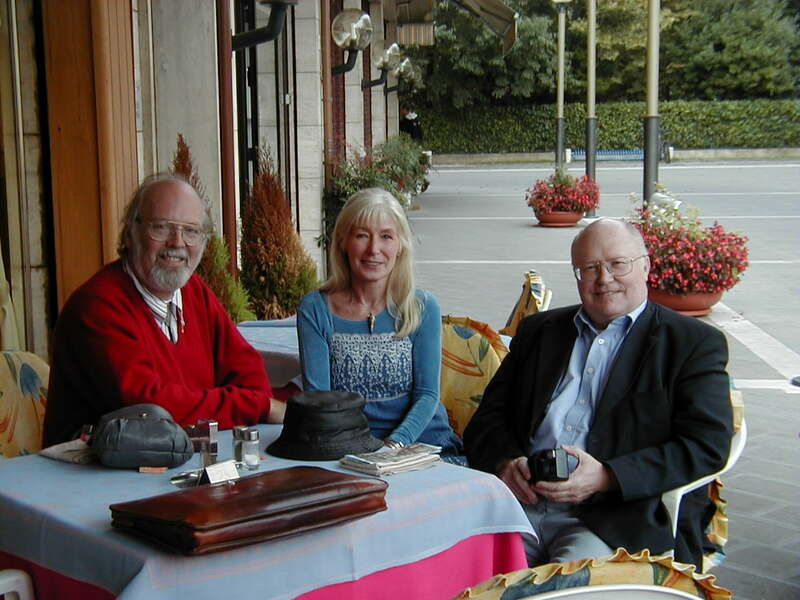 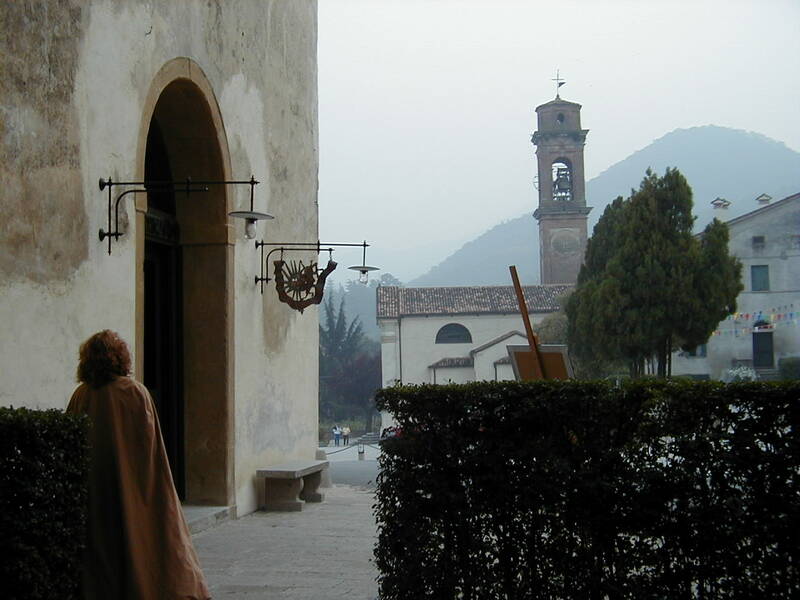 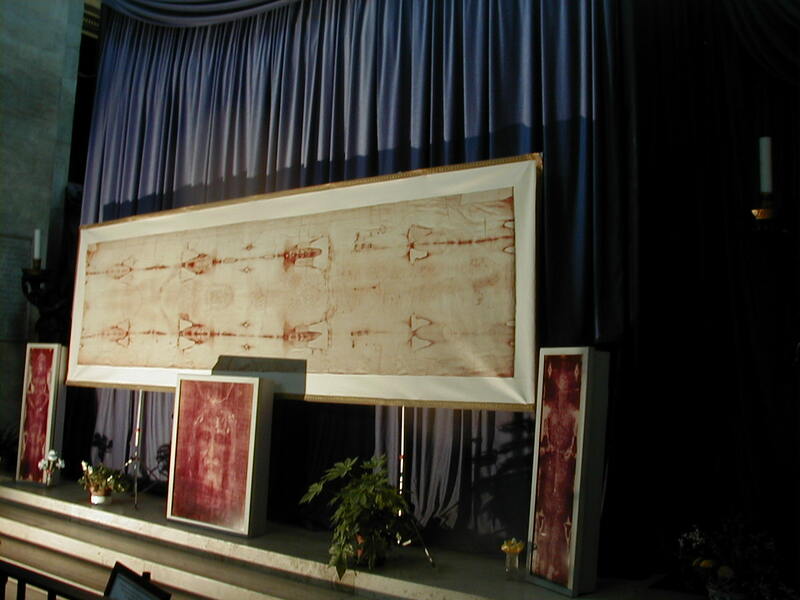 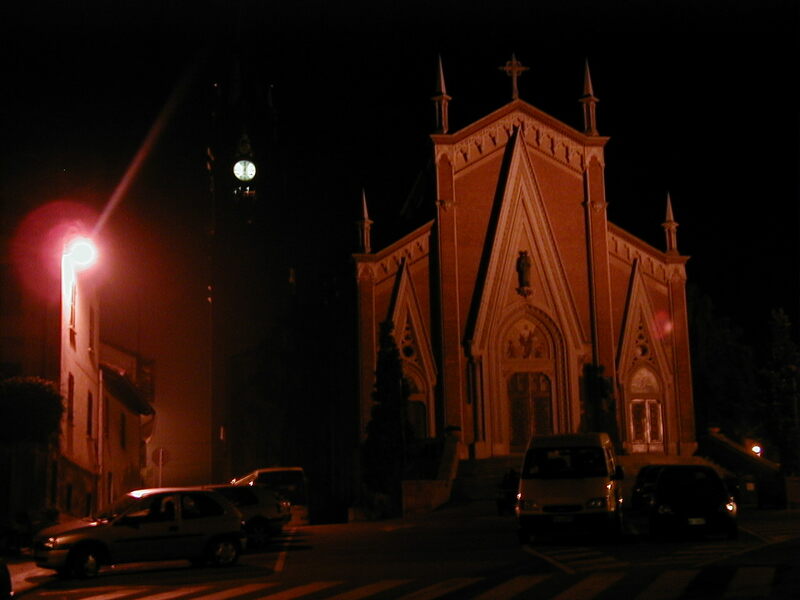 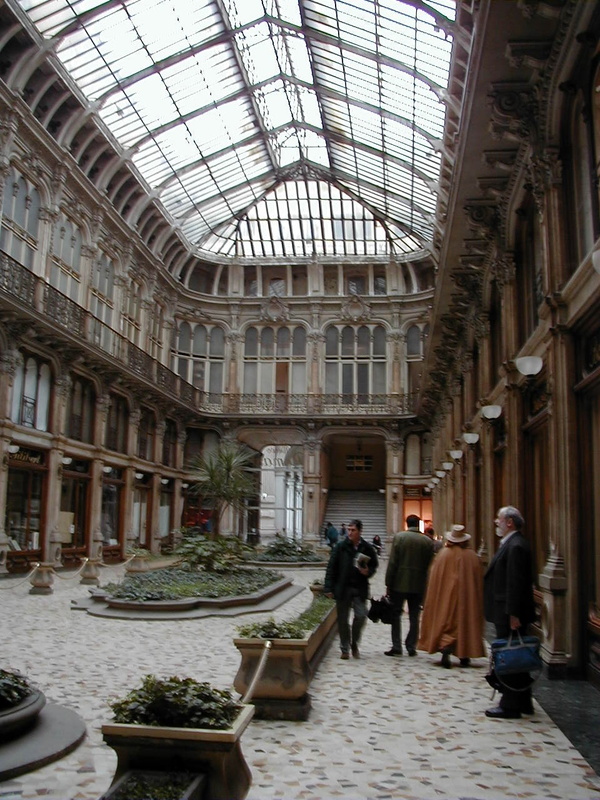 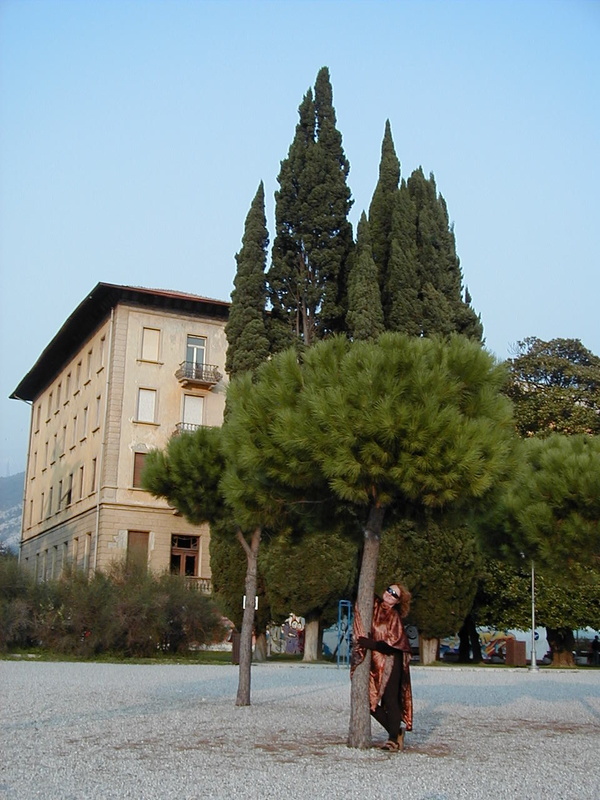 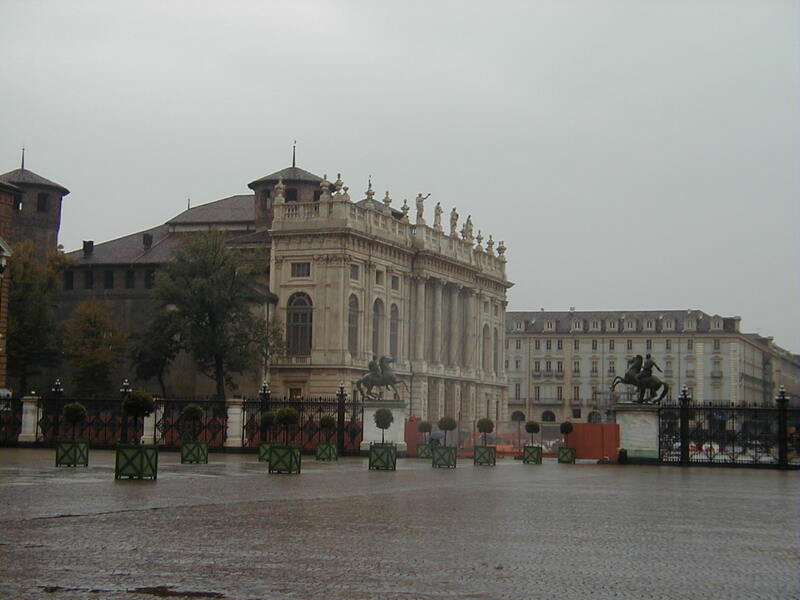 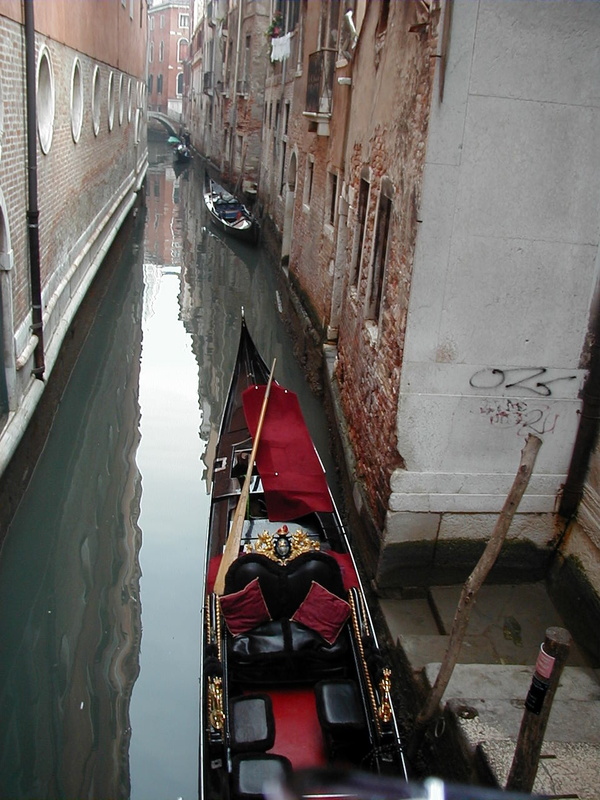 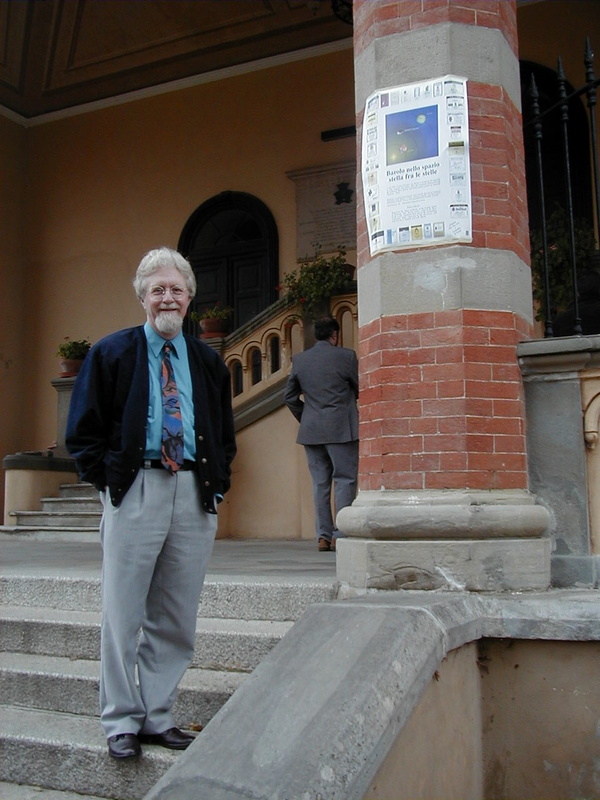 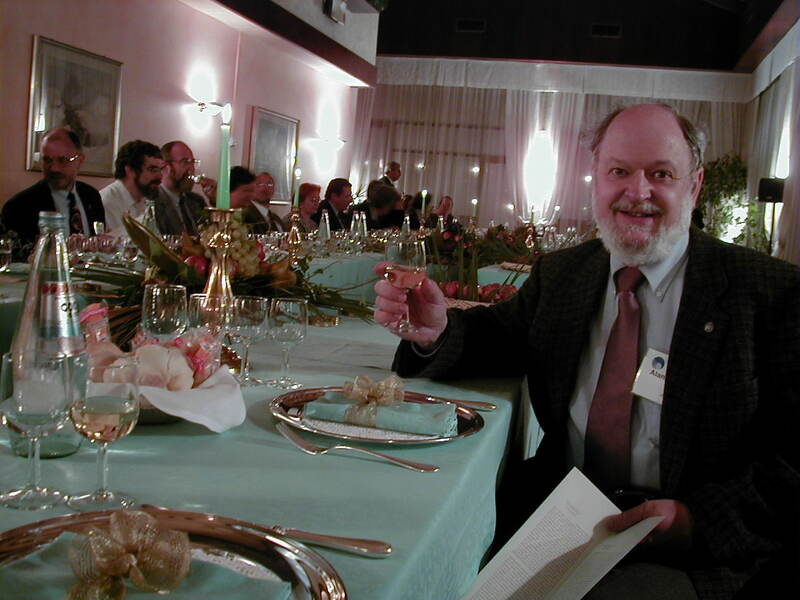 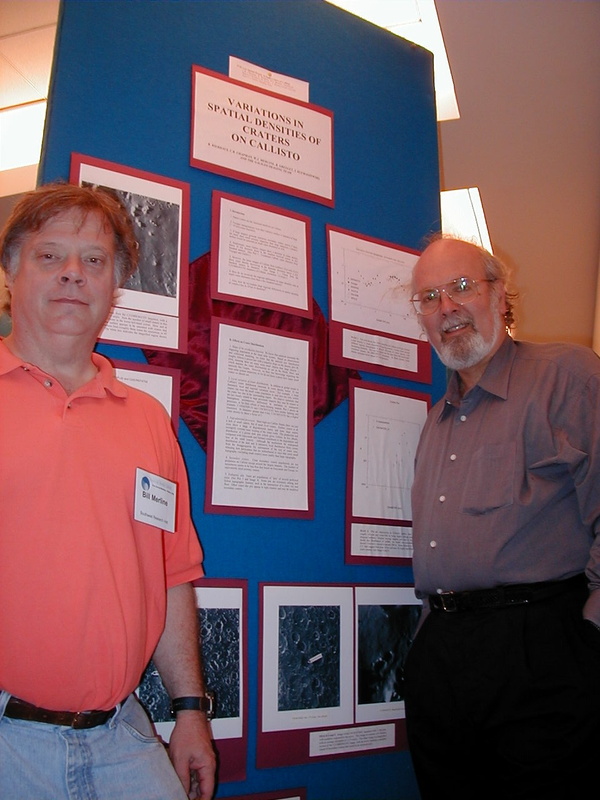 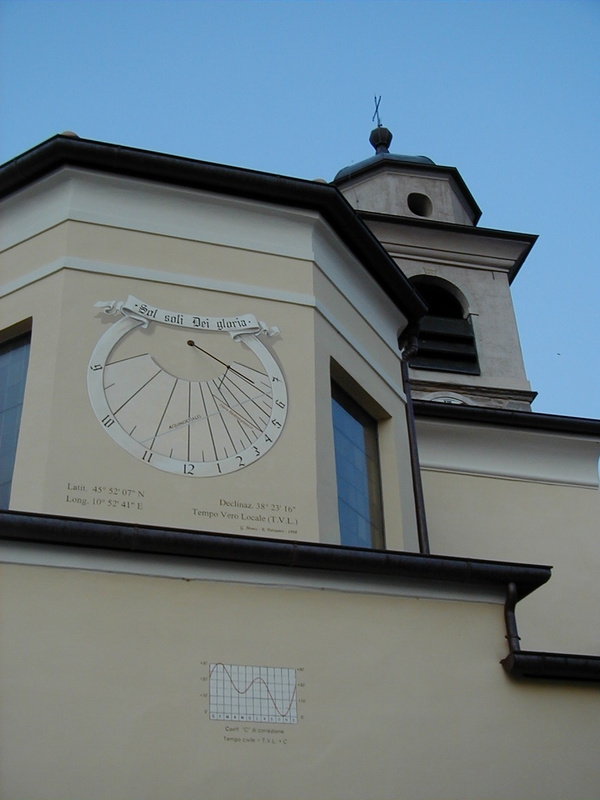 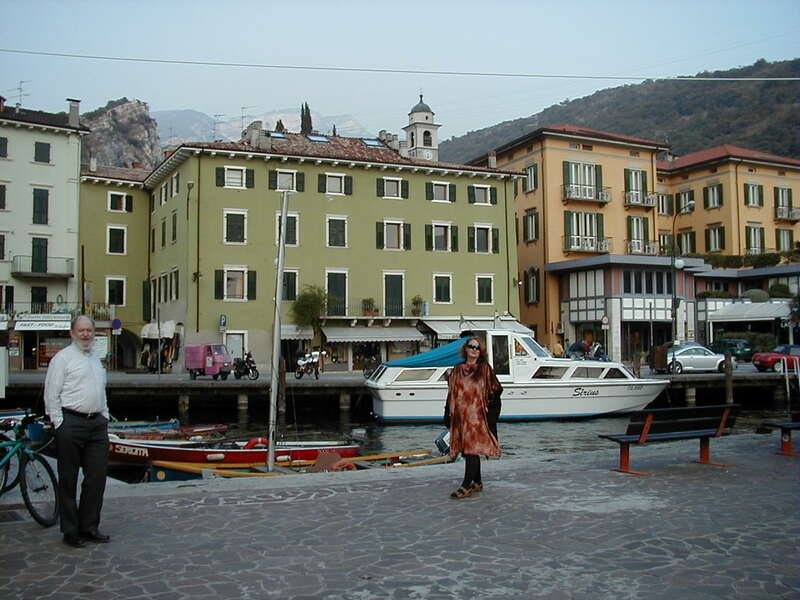 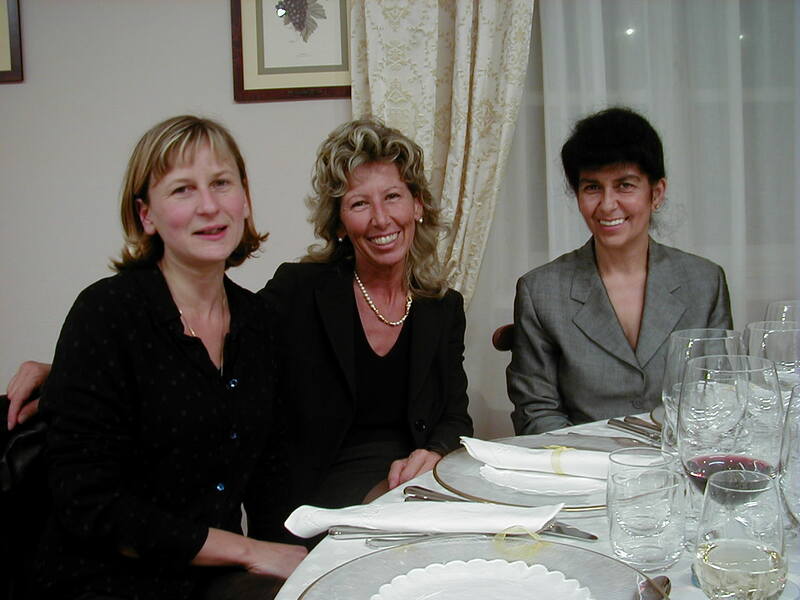 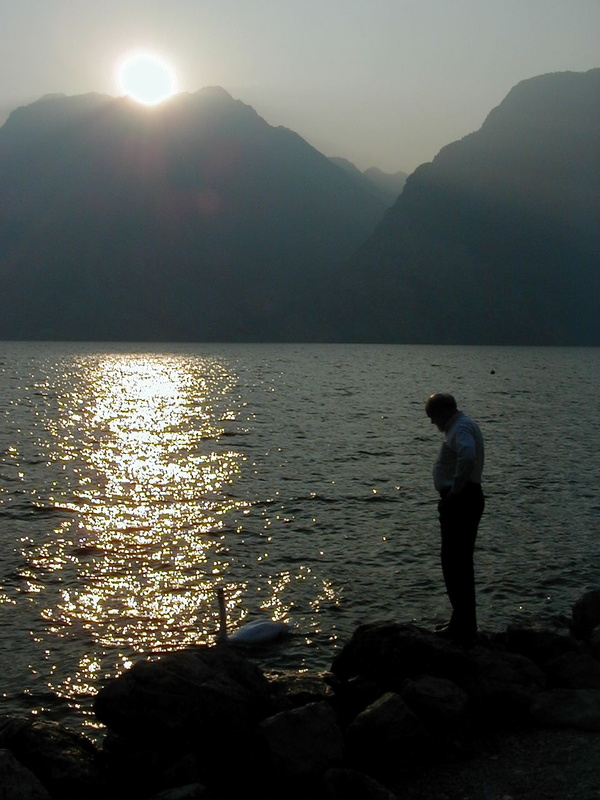 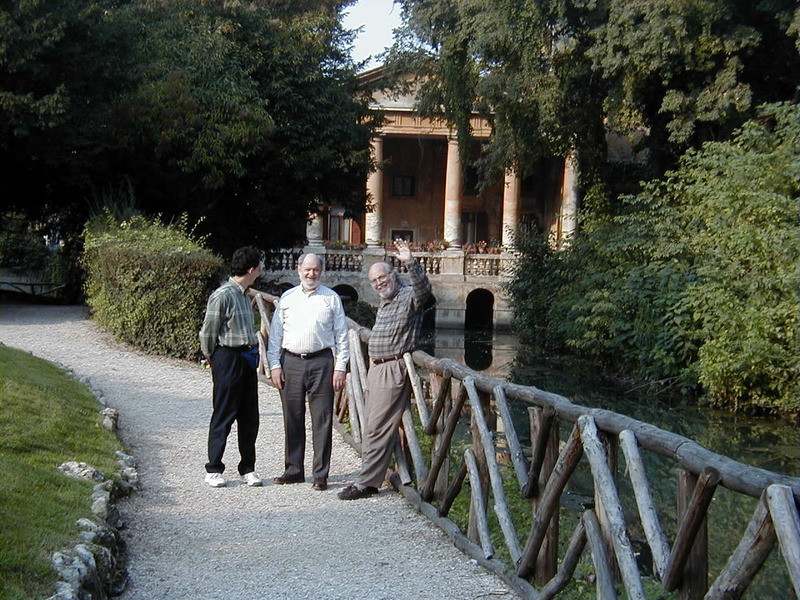 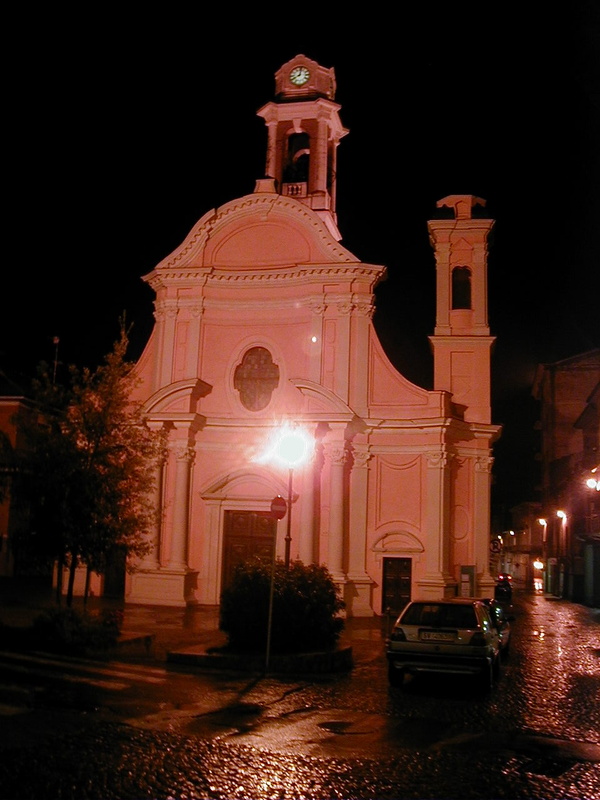 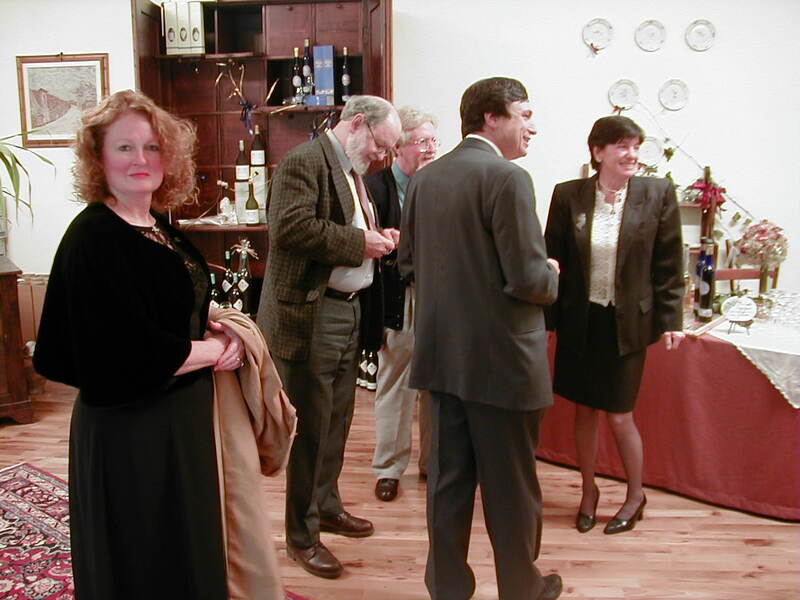 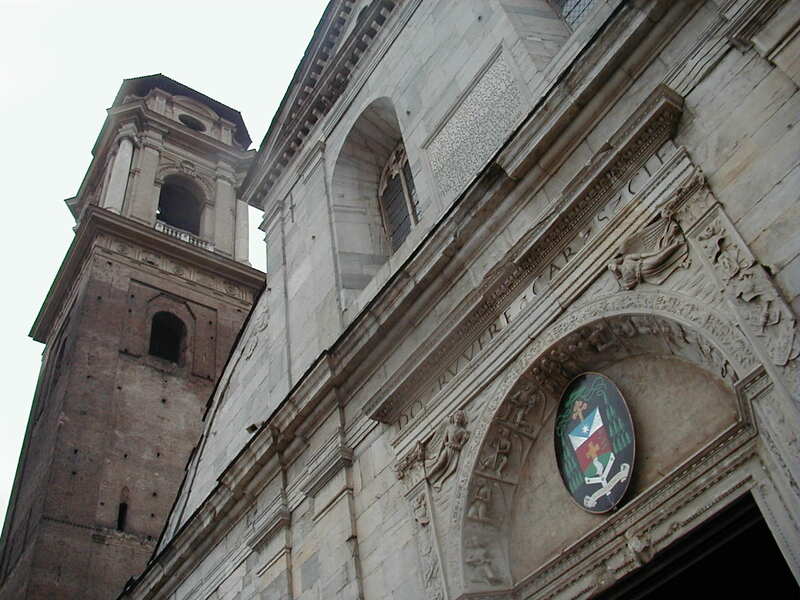 Lynda and Clark took a two-week trip to Northern Italy in early October 1999, primarily for the purpose of attending the annual meeting of the Division for Planetary Sciences of the American Astronomical Society, held in Abano (a hot-springs resort of Padua). 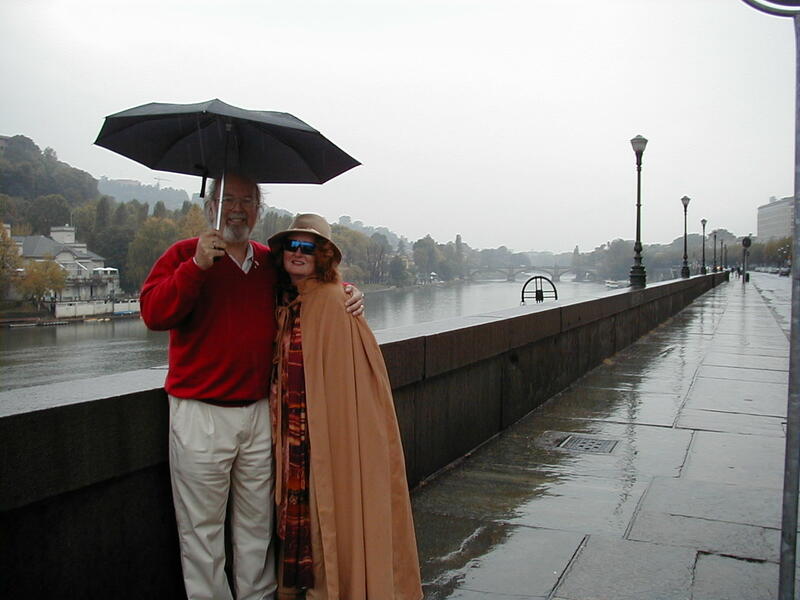 These pictures are the best of those taken with our new Olympus Megapixel digital camera. 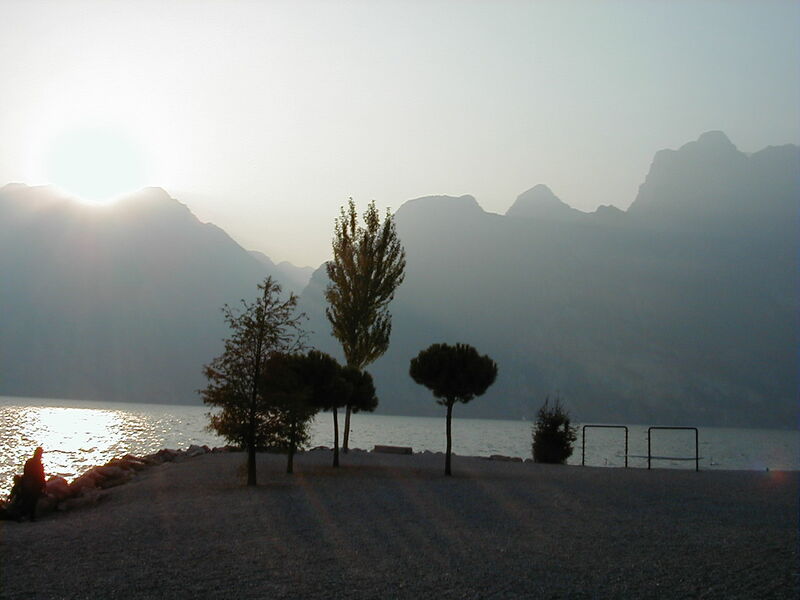 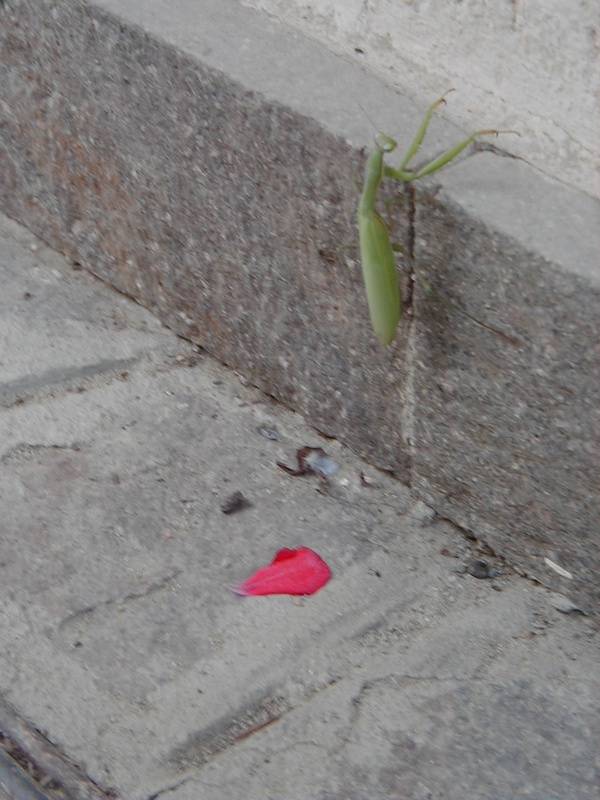 If you click on the thumbnail, you will get a very large (~1000 pixel on a side) jpeg image. 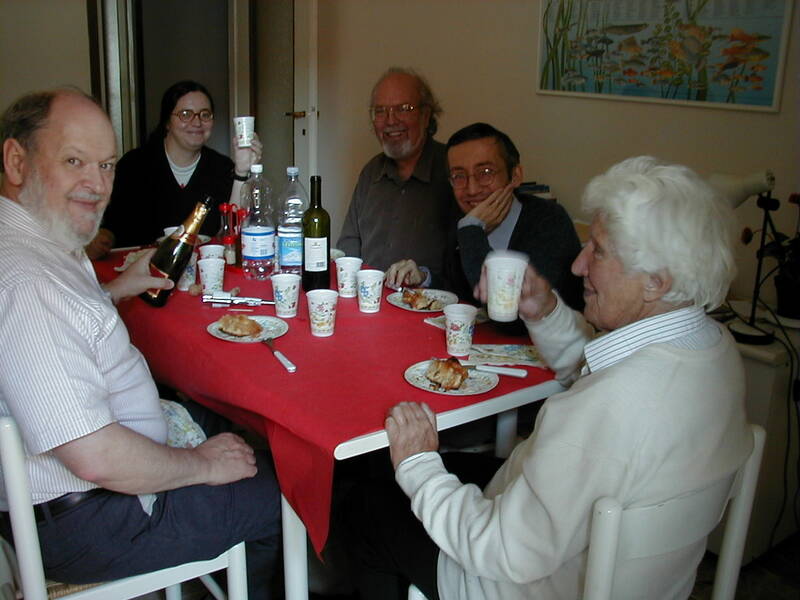 The first picture shows us with Paolo Farinella and his family in his temporary apartment in Bergamo as he awaits a heart transplant. 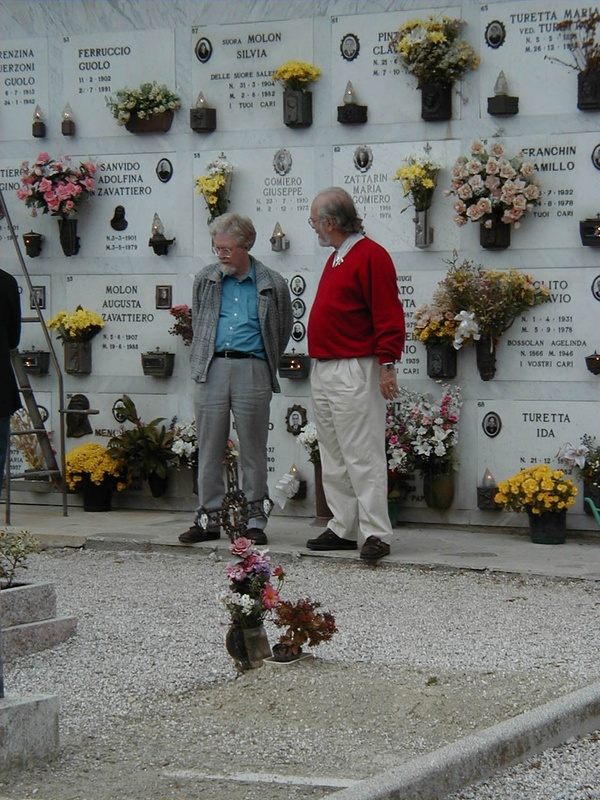 We are happy to report that Paolo seems in fine spirits and better physical condition than one might expect. 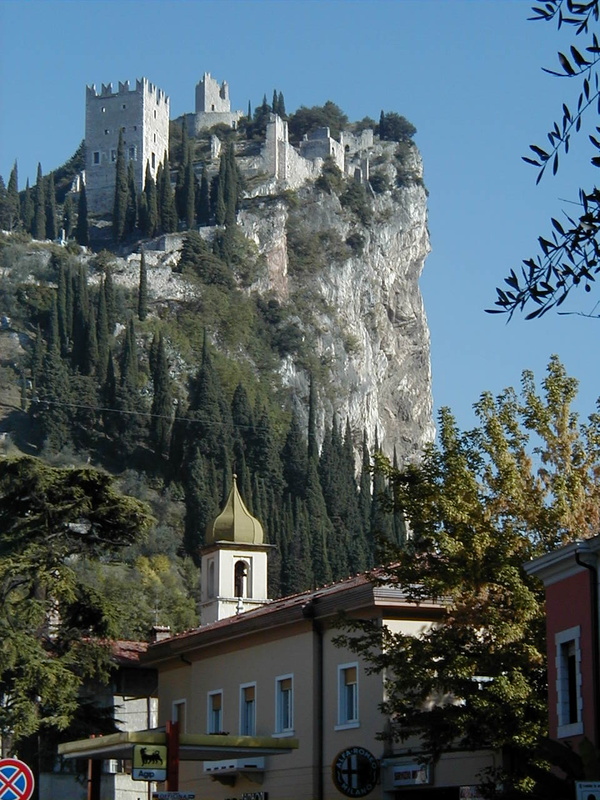 We then spent a couple of days, with Al Harris, travelling to Lake Iseo, Lago di Garda, Arco (where the unheralded cliff-top castle sits), and Vicenza, where Francesco Marzari led us on a walking tour of the old city. 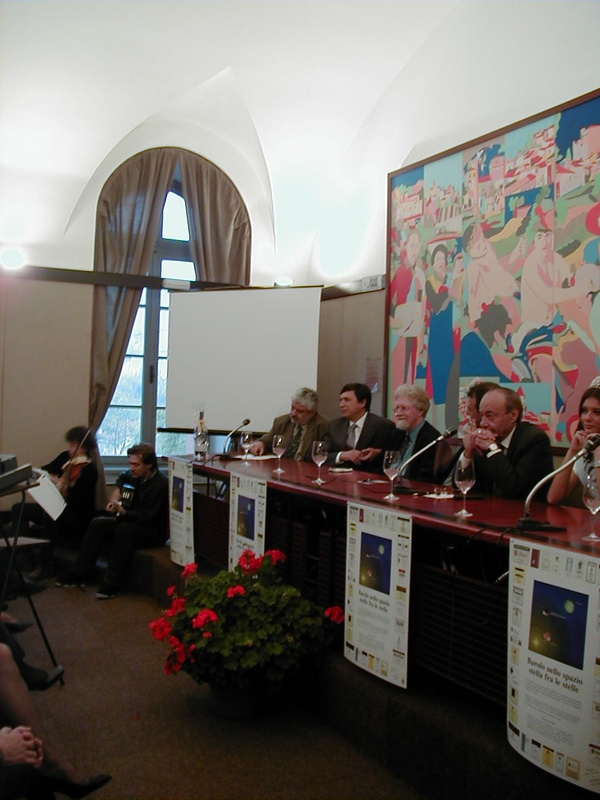 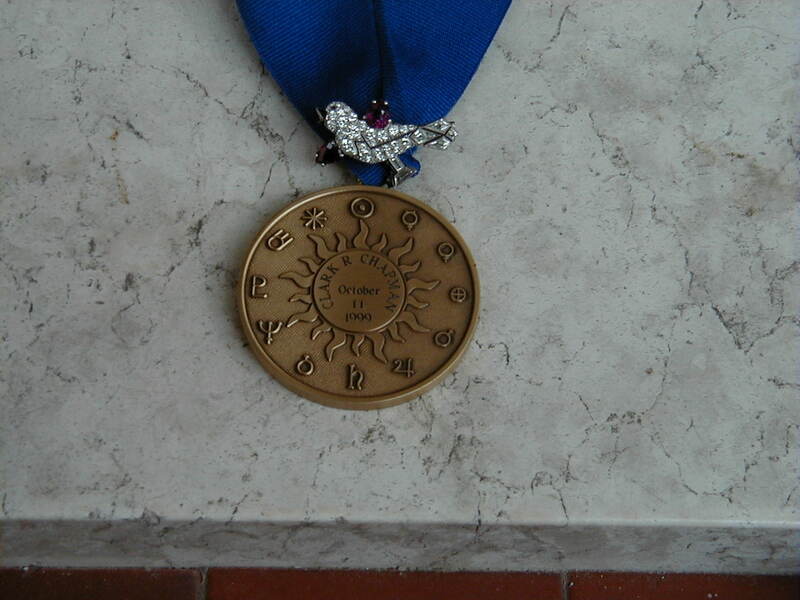 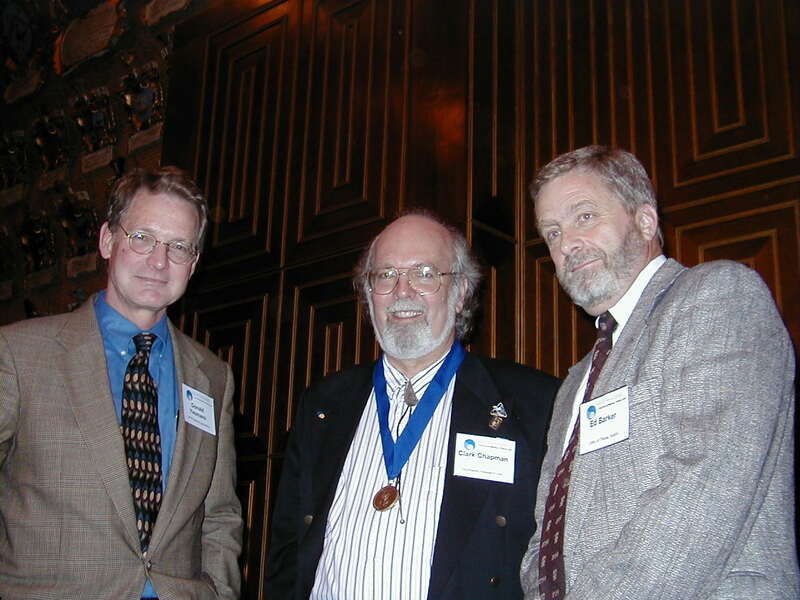 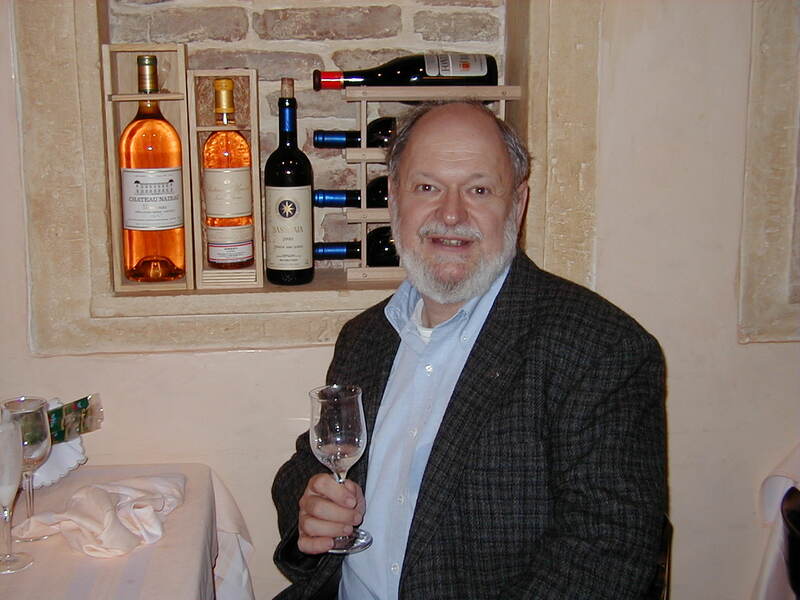 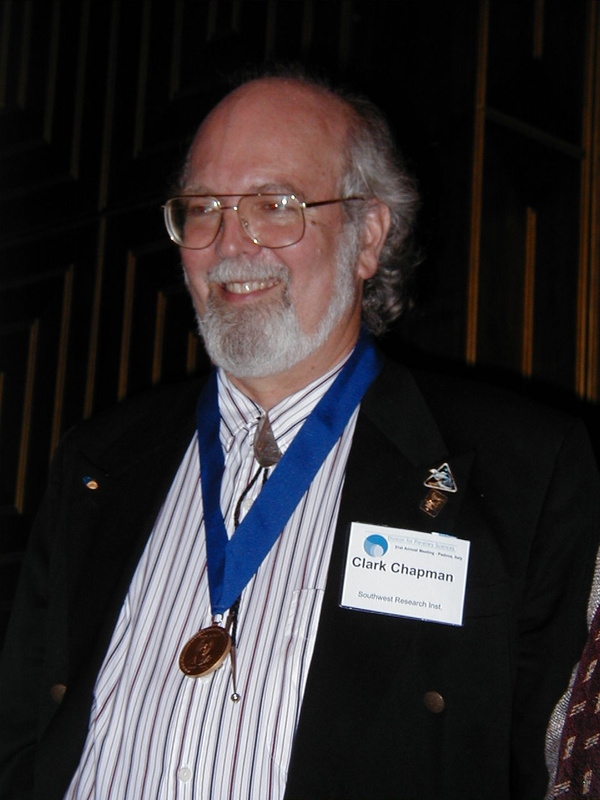 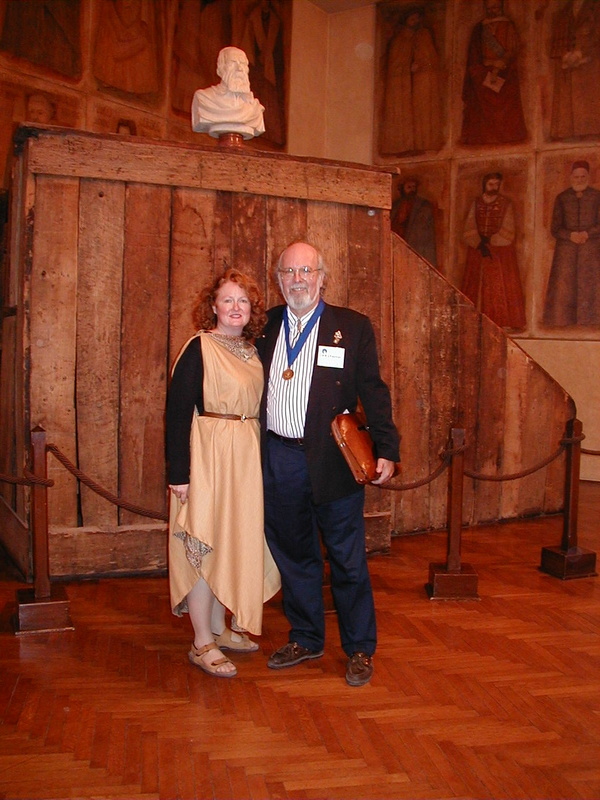 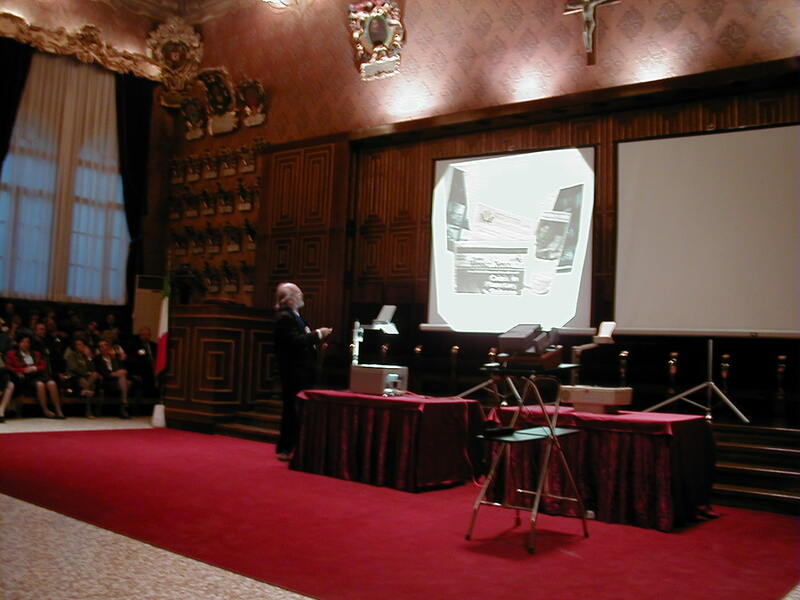 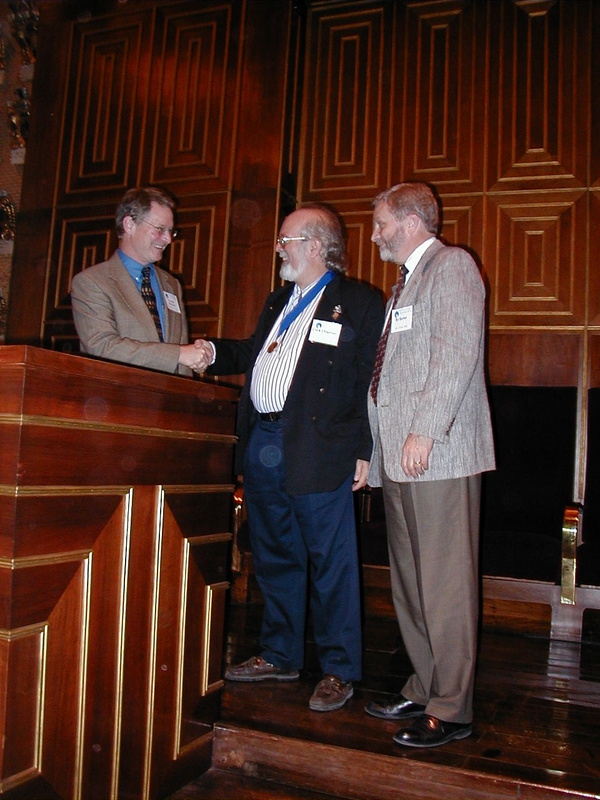 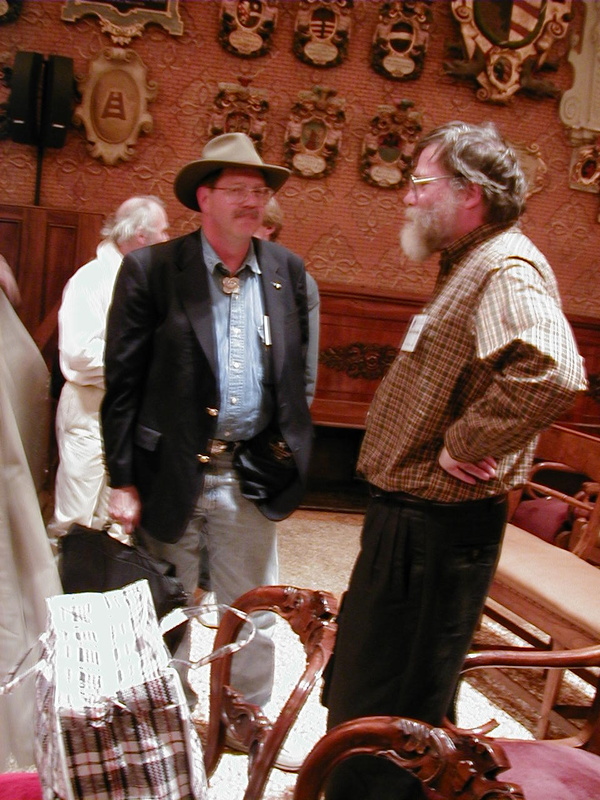 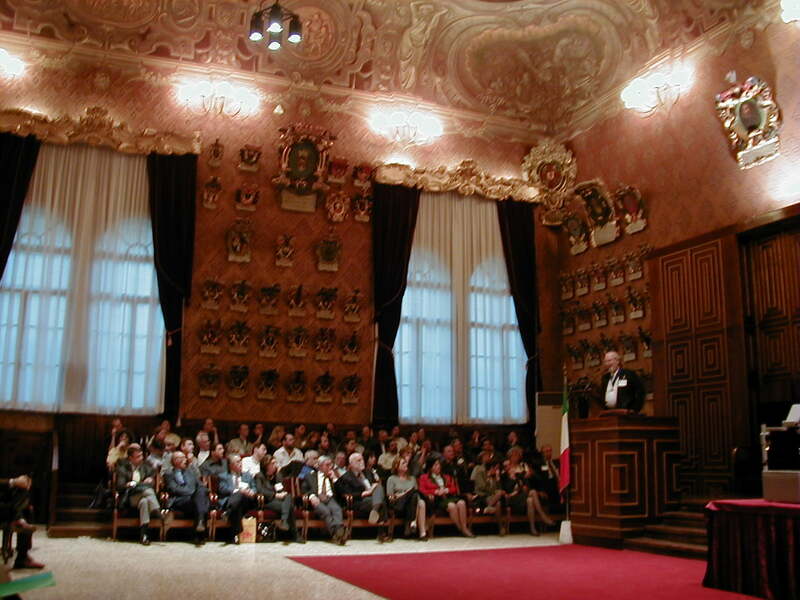 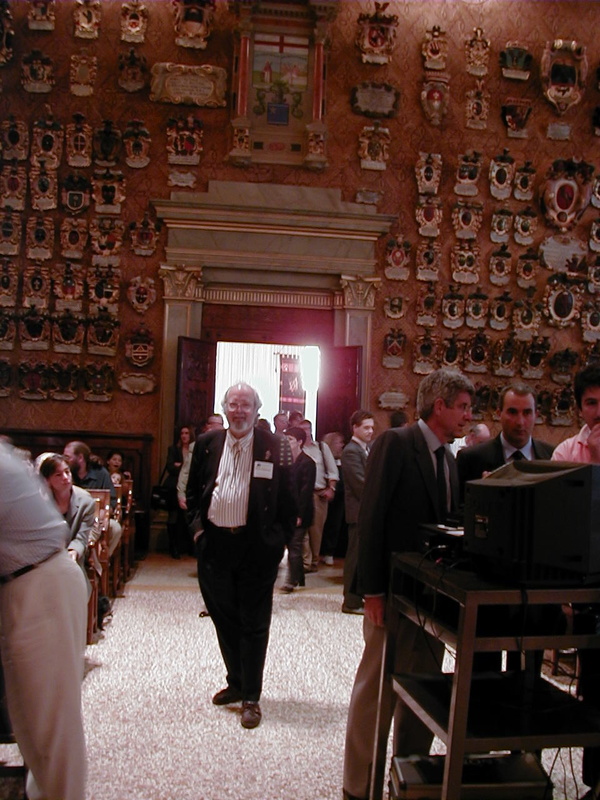 Early during the DPS meeting, Clark received the Sagan Medal in a grand hall of Padova University and posed, with Lynda, in front of Galileo's chair. 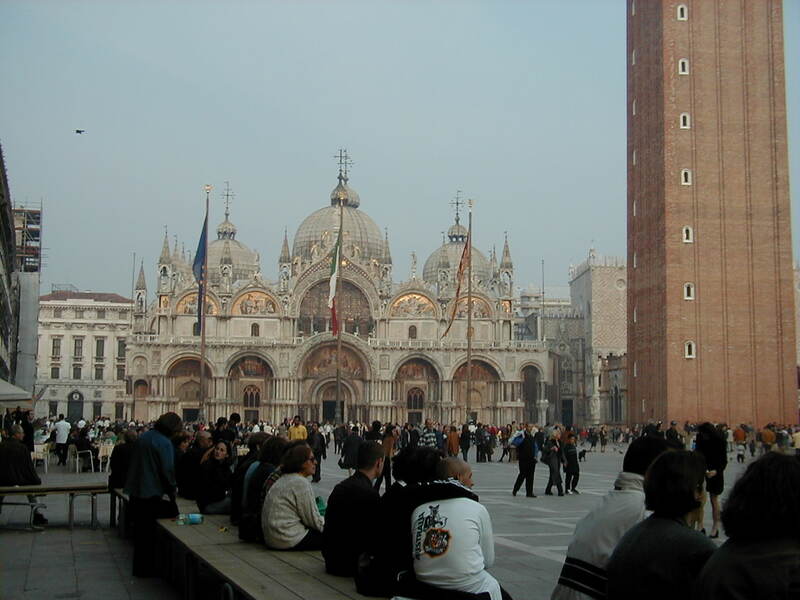 Other DPS-period scenes include Venice, the Bierhaus et al. 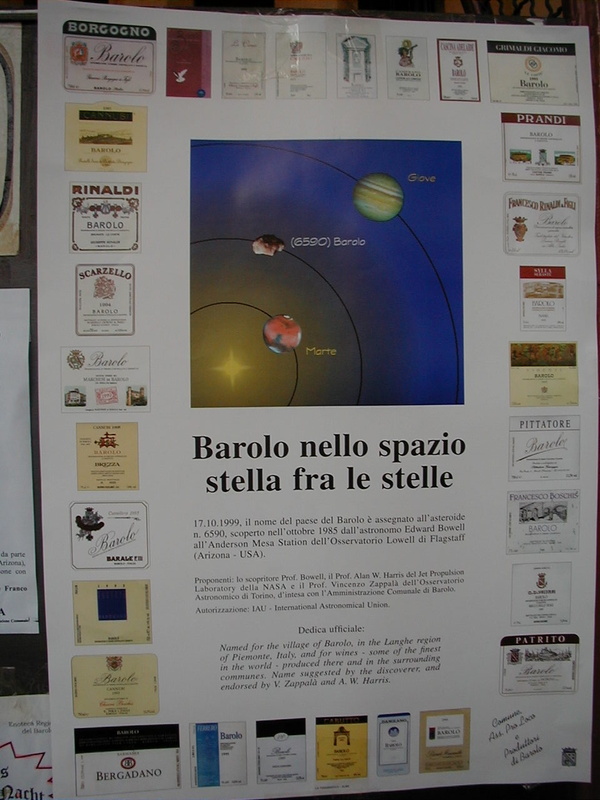 poster, and the post-DPS Galileo-epoch dinner for the DPS Committee and guests. 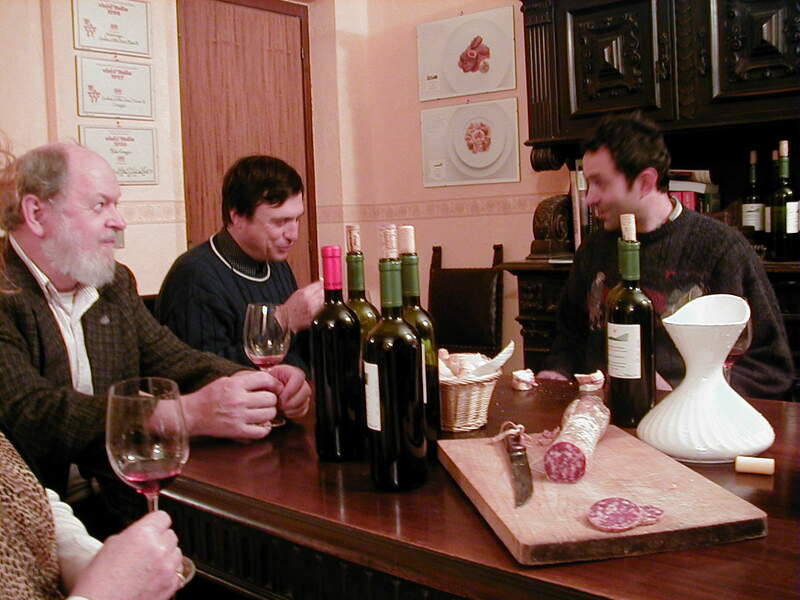 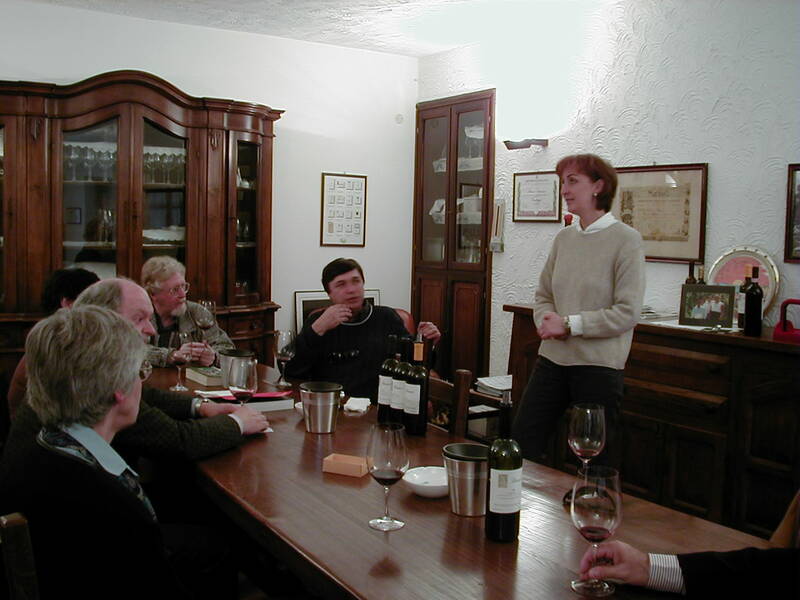 After DPS, we spent time in the Roero and Barolo wine districts southeast of Torino, hosted by Enzo and Giana Zappala. 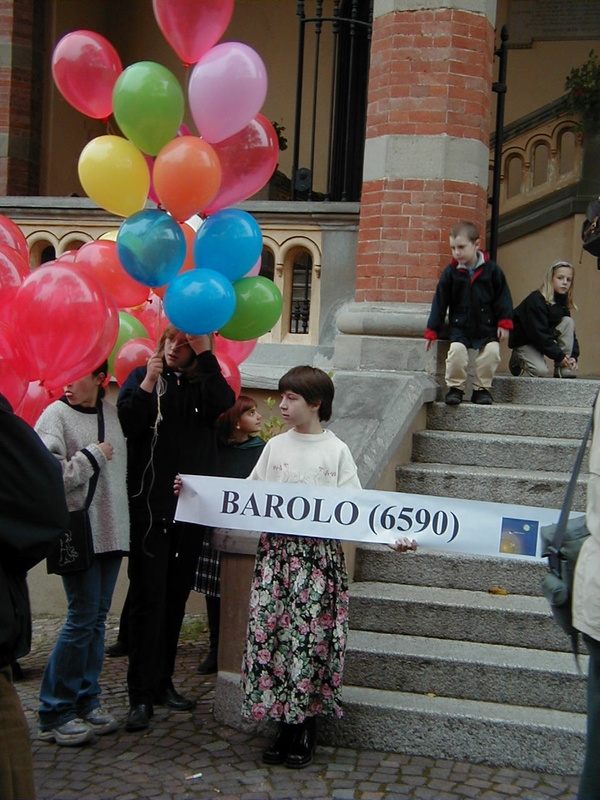 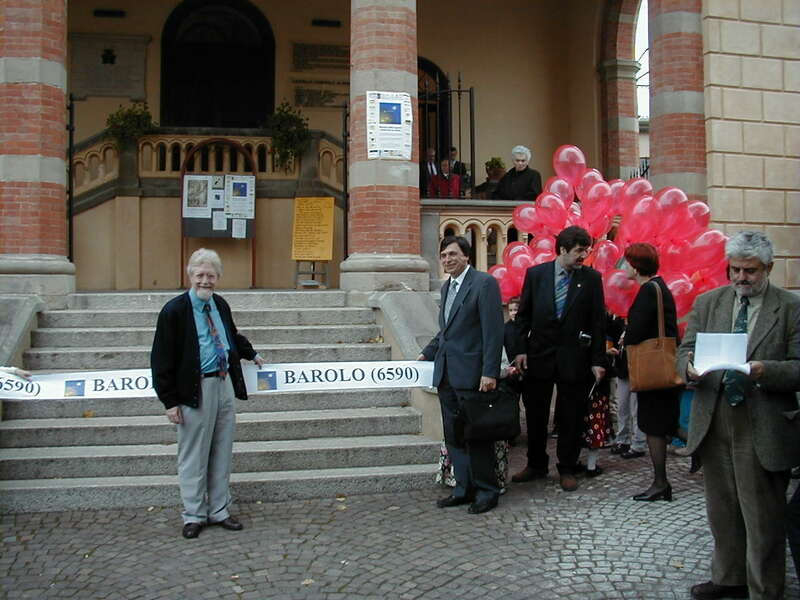 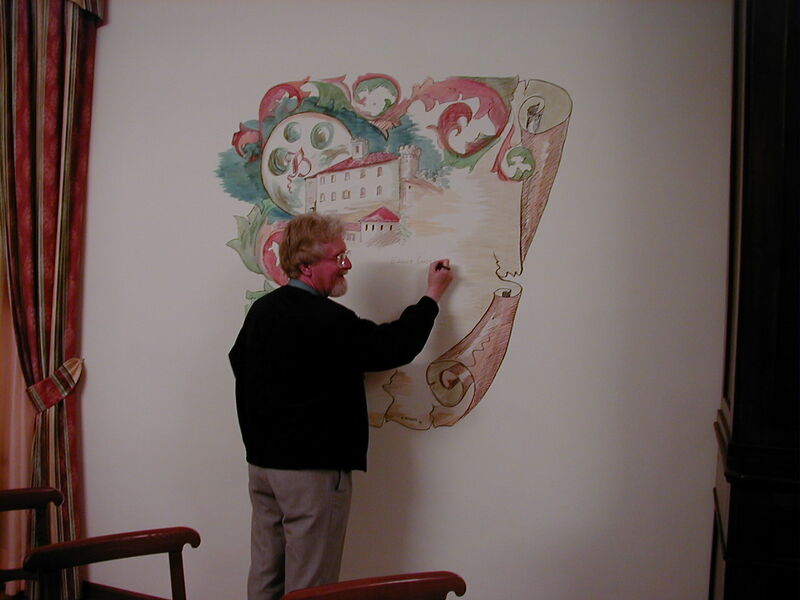 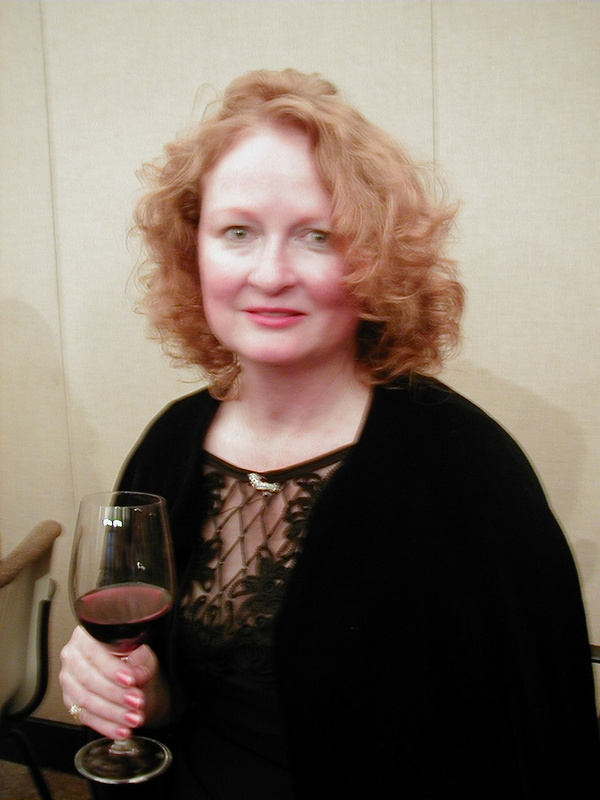 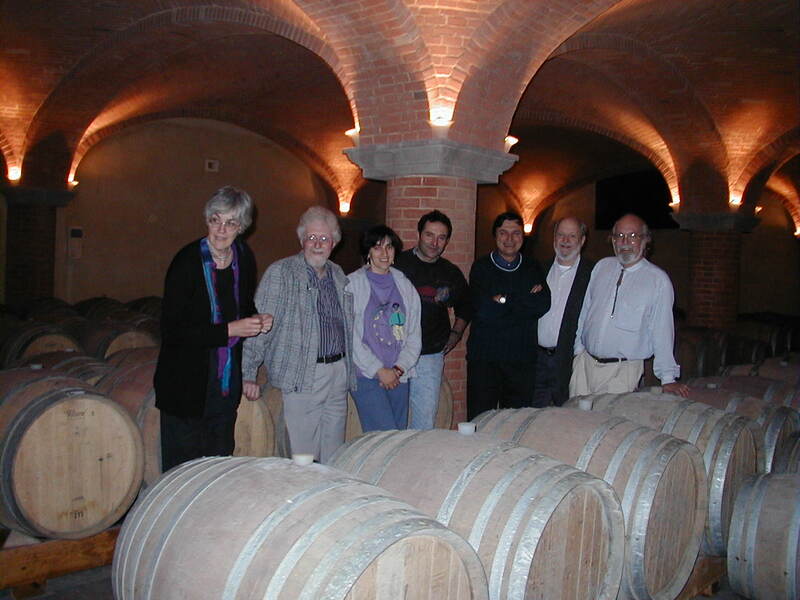 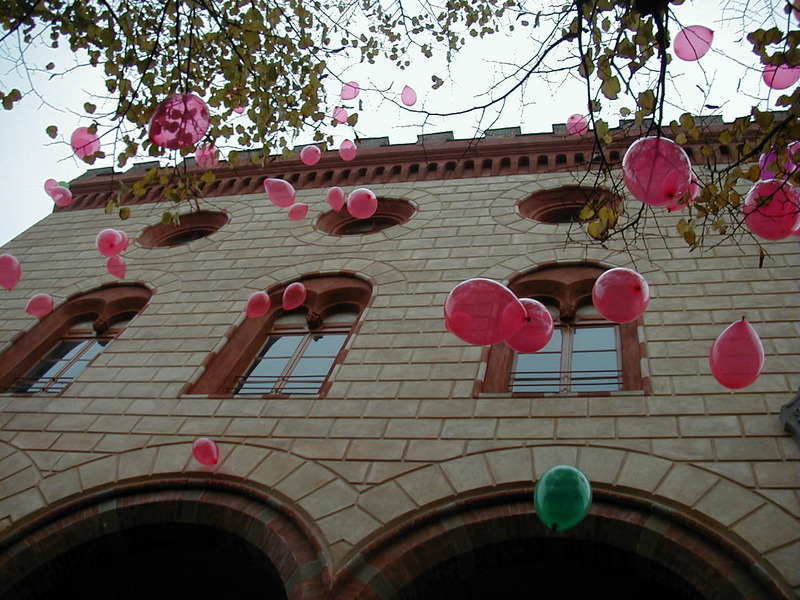 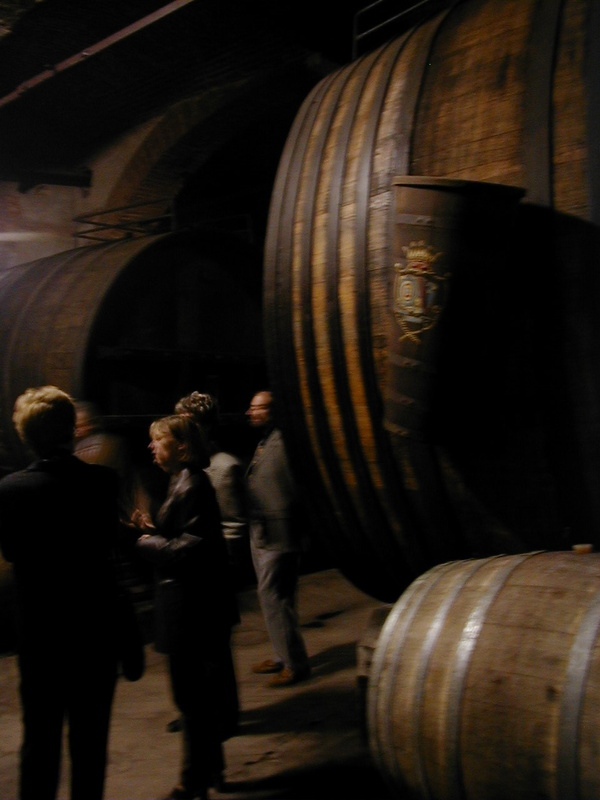 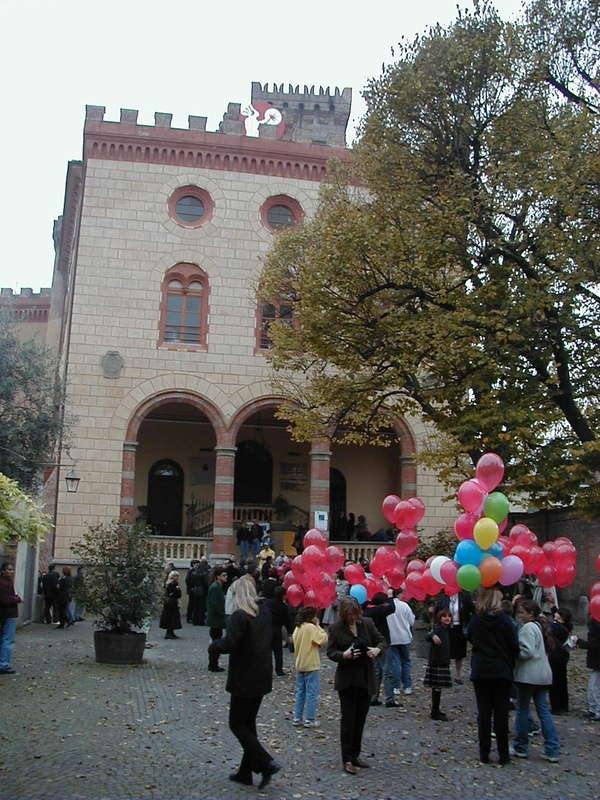 A celebration at the Barolo castle resulted from Ted Bowell's naming of a large asteroid after the town of Barolo. 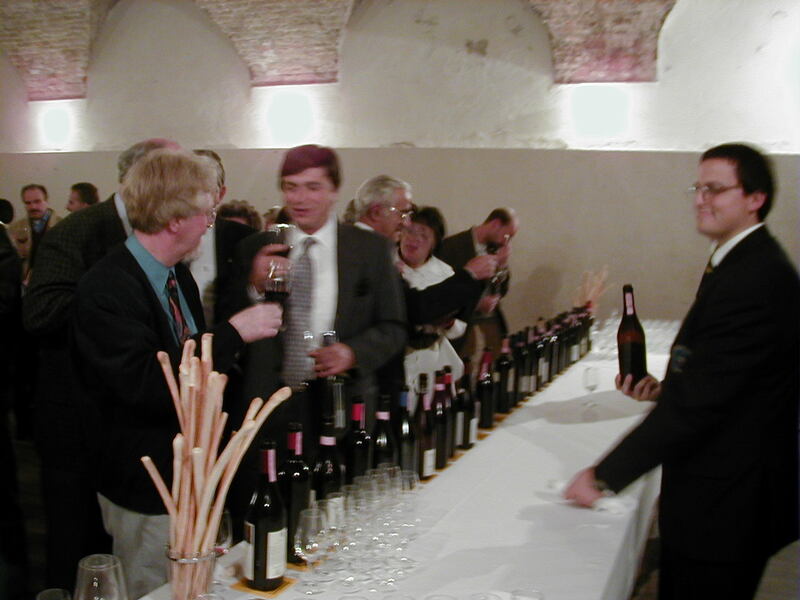 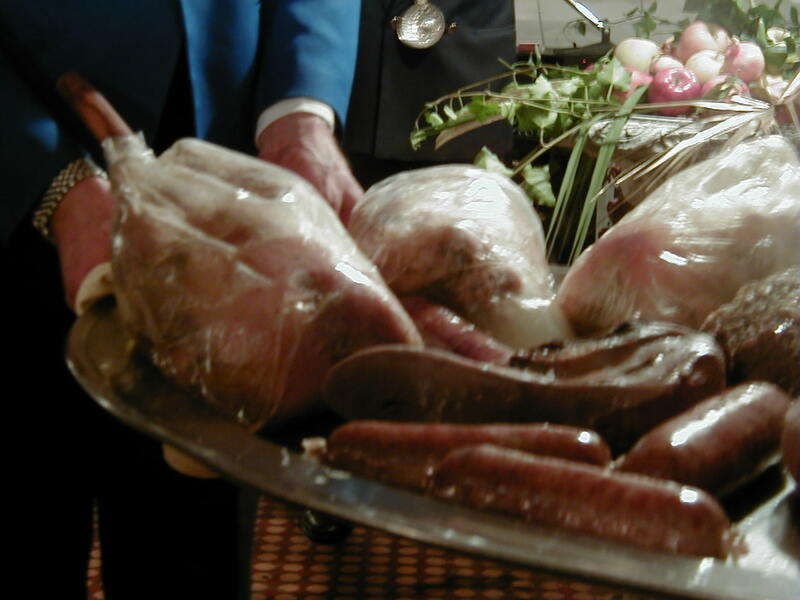 Many bottles of fine Barolo wine were opened in thanks.